While each home care agency has unique circumstances, the challenges that agencies face are often very similar. Through ten years of working with over 4,000 home care agencies and gathering data across the industry, our team has identified ten critical mistakes home care owners make that prevent them from taking things to the next level. The biggest strategic mistakes, mindsets, and assumptions that create unnecessary roadblocks for home care owners. Action items you can take today to address each issue. Other common areas of confusion for home care owners. Participate in a Q&A session for all attendees. Can’t make it? Register anyways and we’ll send you the recording and slides following the second session on 4/25. Lynsey manages all operations at Home Care Pulse and oversees the Satisfaction Research Center, which surveys over 150,000 clients and caregivers every year. She has over a decade of experience managing operations, staffing, and incentive programs at global companies and is an expert in organizational culture and team dynamics. She has led the charge in creating a powerful culture of recognition and synergy at Home Care Pulse, and her organizational expertise impacts home care agencies around the country. When she’s not working, Lynsey enjoys competing in Spartan races and camping with her family. 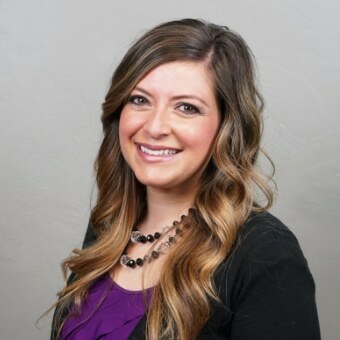 Often jokingly referred to by our team as the Wikipedia of Home Care Pulse for her vast knowledge, Jessica Imbler has spent five years on Home Care Pulse’s research and customer success teams helping home care agencies to use data to improve their operations. She has worked directly with the leadership teams of many leading home care companies and is a familiar face for many of the people registering for this webinar. Her experiences helping home care agencies have made her passionate about data and the ways that accurate information can be used to solve problems. When she’s not in the office, Jessica enjoys hiking in nature with her husband, Mark, and their two dogs, Koda and Moose. The webinar recording & slides will be emailed to all registrants within 24 hours after session 2.